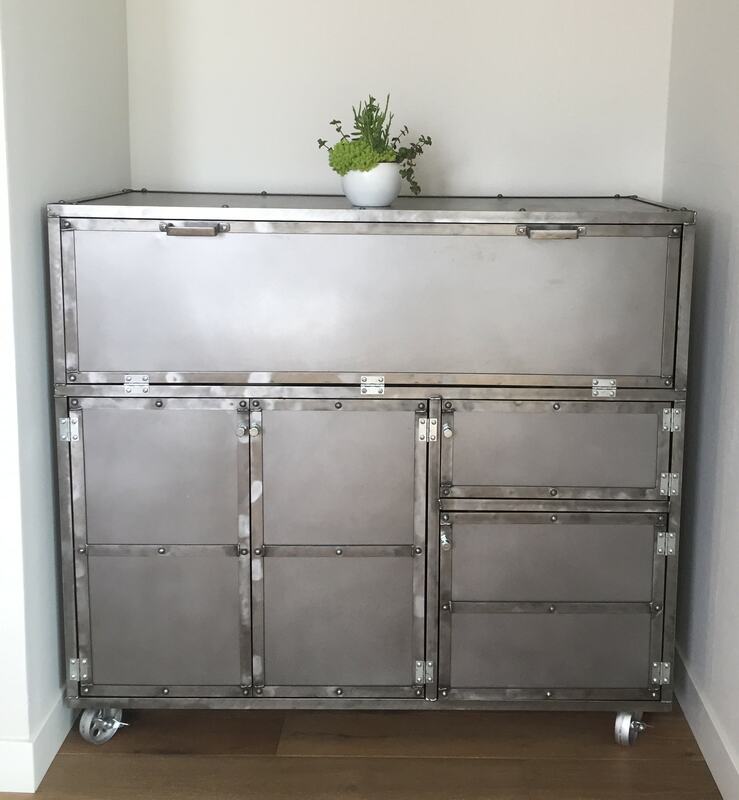 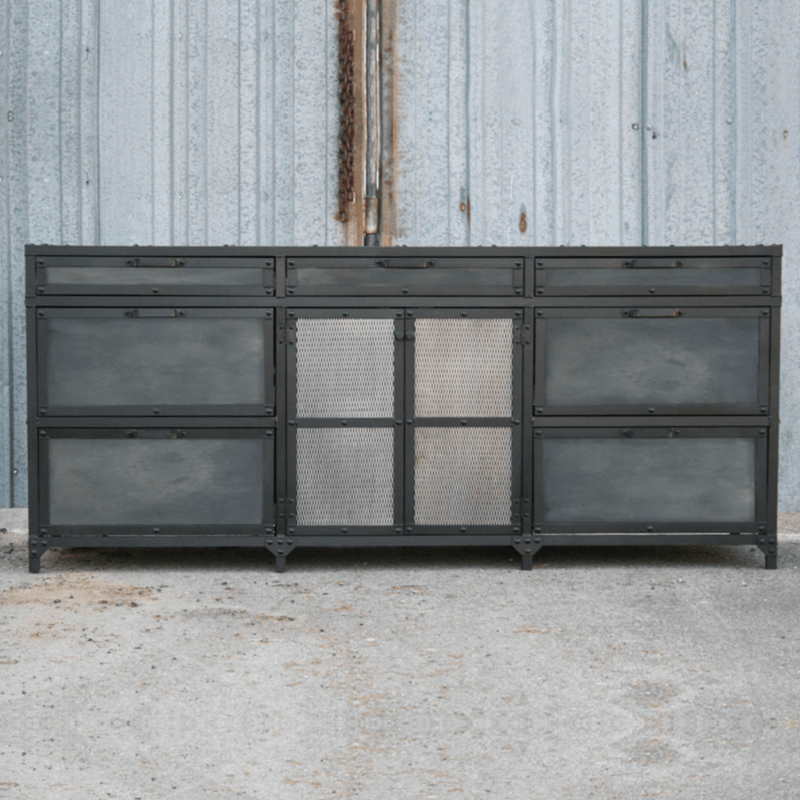 If you’re looking to add a new centerpiece to your modern farmhouse style home or corporate office, the Hendrik may be the right fit for you. 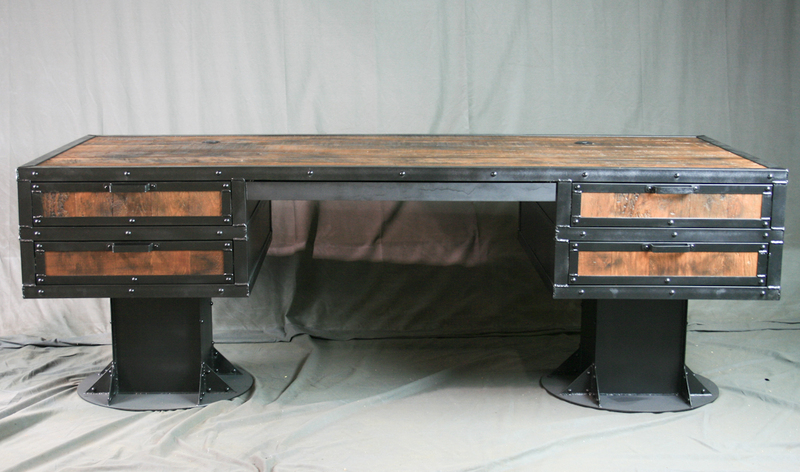 This incredible rustic industrial conference table is built with a 2 3/4″ solid wood top with black steel supports and wood legs. 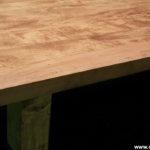 We can use nearly any species of wood and any stain. 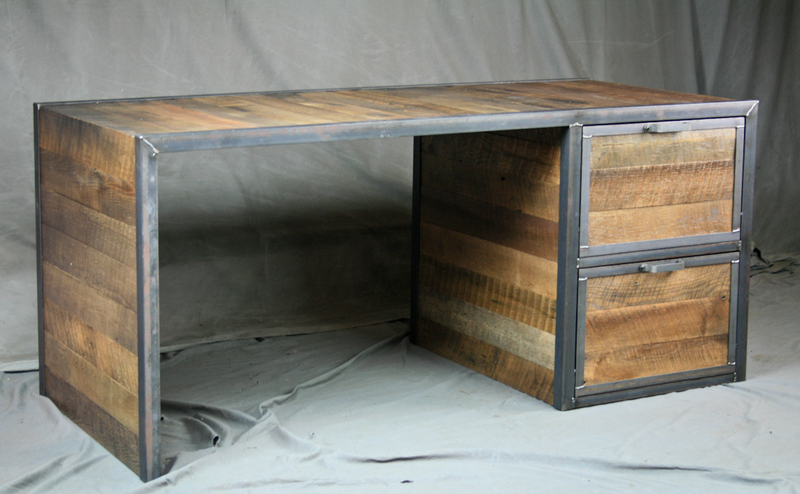 You can even get your conference table in reclaimed wood. 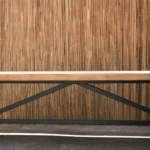 Contact us with any questions or to get pricing for different wood options. 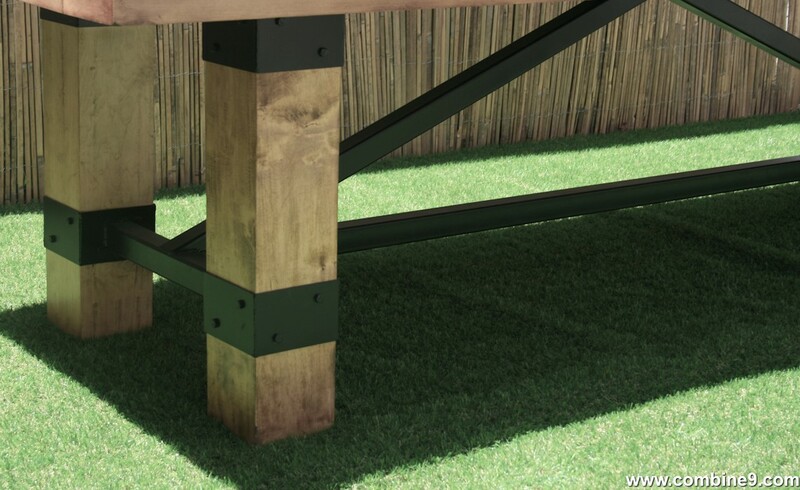 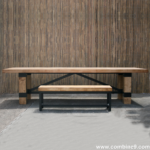 This rustic industrial table can be used indoors and out, though it will need to be resealed periodically if used outdoors. 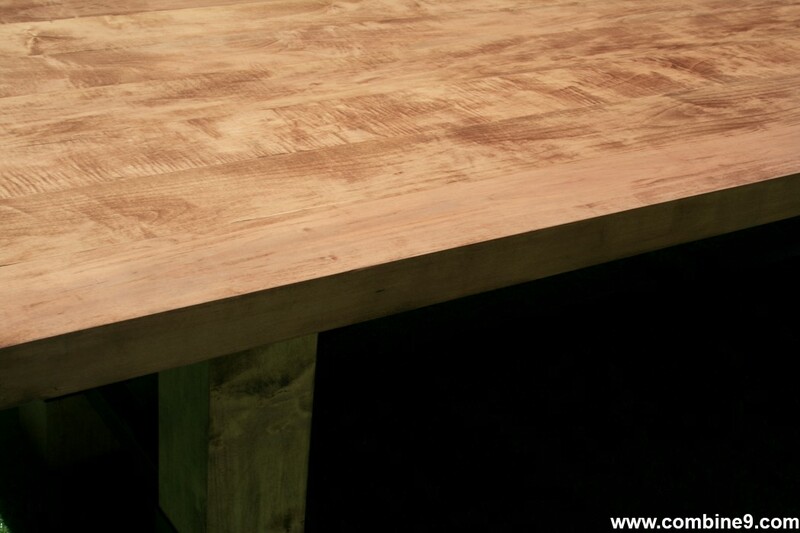 We can make this piece fit perfectly into your workspace or dining room if you let us know what dimensions you require. 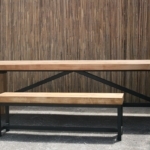 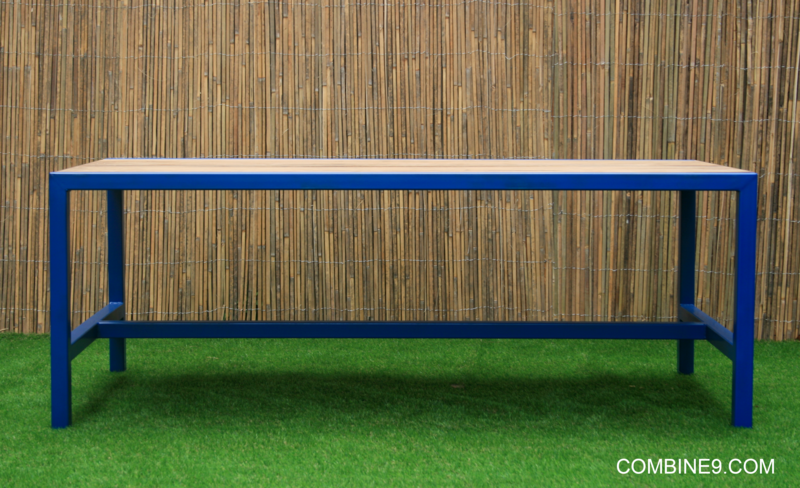 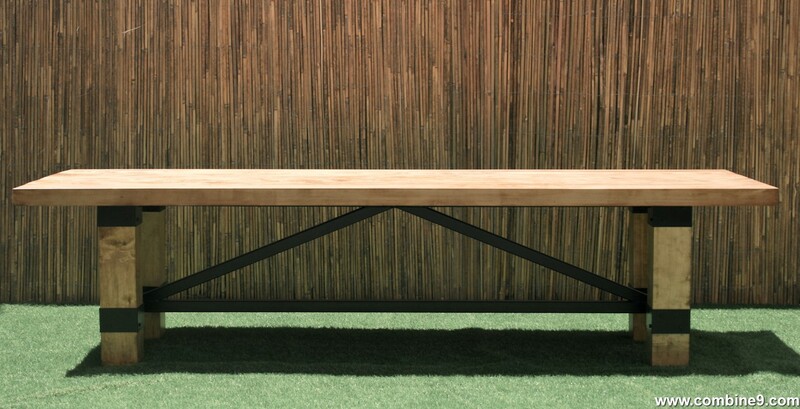 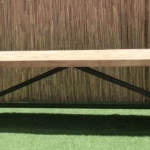 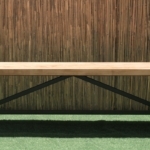 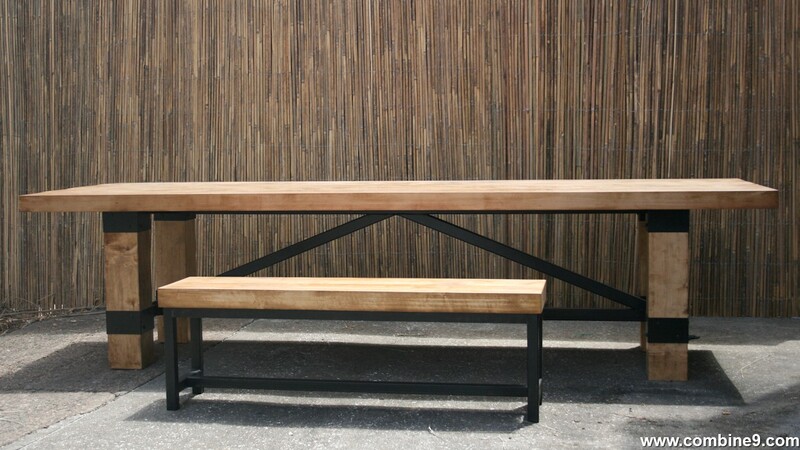 The bench pictured is sold separately and can be made to match your table if you desire. 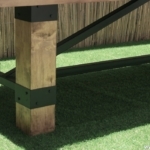 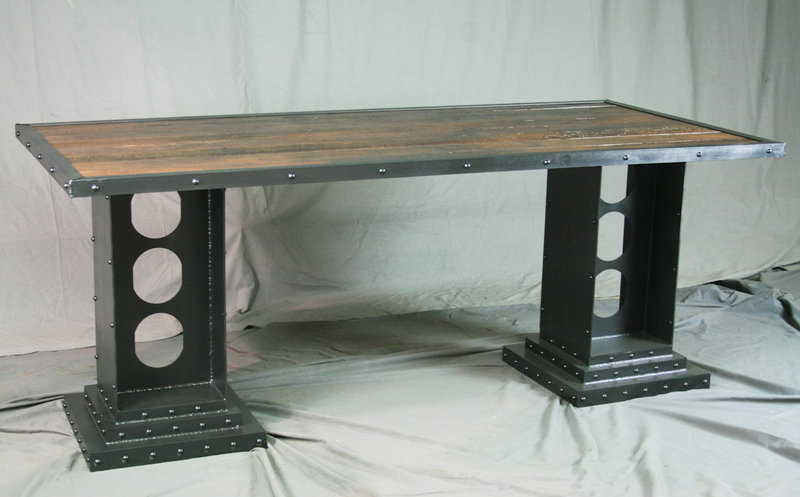 Browse through our site and see if you can find any of our design elements you would like to incorporate into your rustic industrial table. 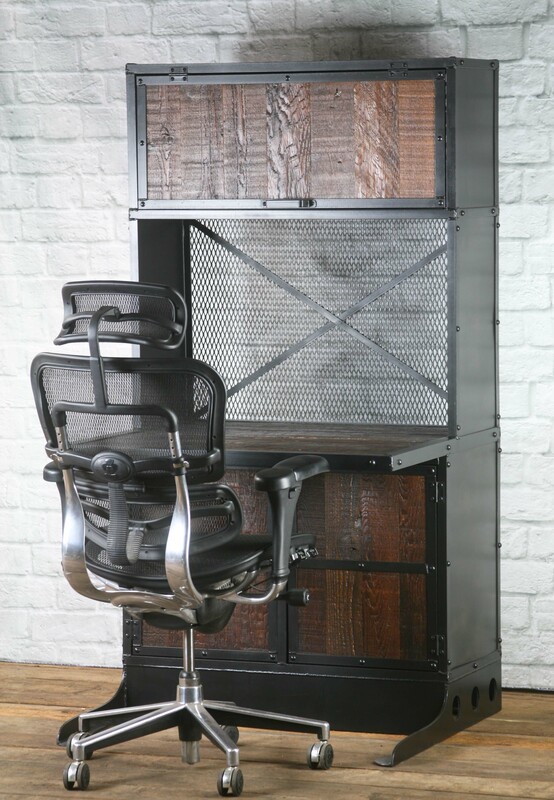 To see a similar design in a different configuration please click here.